Buck from Kennesaw GA here and this is my first post. 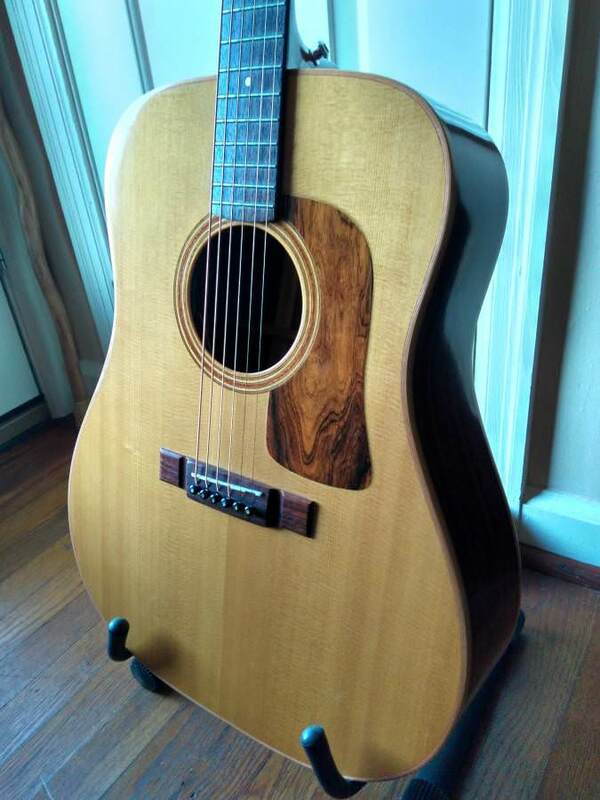 I just purchased a beautiful 1989 Washburn D-68SW guitar that I would not necessarily classify as rare or vintage, but it does have a unique factor that has me scratching my head. It was my understanding that these Harvest series D-68's were all made in Japan, but mine has a clear as day "Made in the USA" sticker sitting right above the little wood plaque that has the serial number. 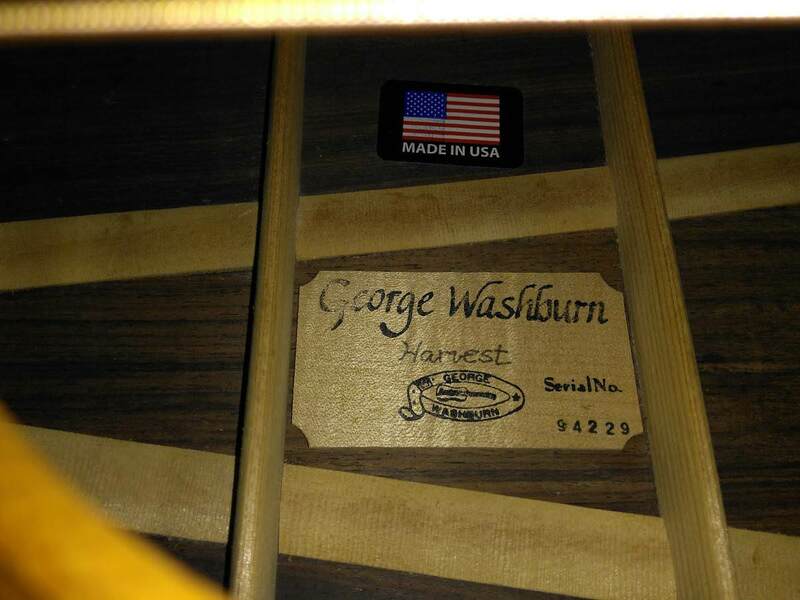 I contacted Washburn about this and they said that to their knowledge, no D-68'were made in the US, but they also admitted that this did not mean it did not happen. Has anyone else here seen one of these D-68's with the Made in the USA sticker inside? I guess either a previous owner is yanking my chain here or this guitar was indeed made in the US. Any insights would be appreciated. PS: would love to post pics of the guitar, but cannot do so right now. I will try to post some later tonight if I can figure out how since I cannot use Photobucket anymore. Re: Washburn D-68 Made in the USA??? Appreciate the feedback and I was suspect too (hence my post). And the previous owner made no statement one way or the other about the country of origin and his asking price was within the range you listed. It is in seriously amazing condition, borderline mint and I am very happy with the purchase. Here's a tutorial on how to post photos...Photobucket priced itself out of our range (they wanted like $400 to "release" the photos we had already stored on PB and for a "membership" that I'm pretty certain would be an annual fee). We've had a lot of forum traffic lately about the older Washburns...take a look around the forums and if you see something authored by Tony Raven, he's done a lot of work in the archives and has a pretty good handle on these Japanese made instruments...and you can take anything from bigcity2 to the bank, he's a huge Washburn collector and has an incredible knowledge of how the company worked. 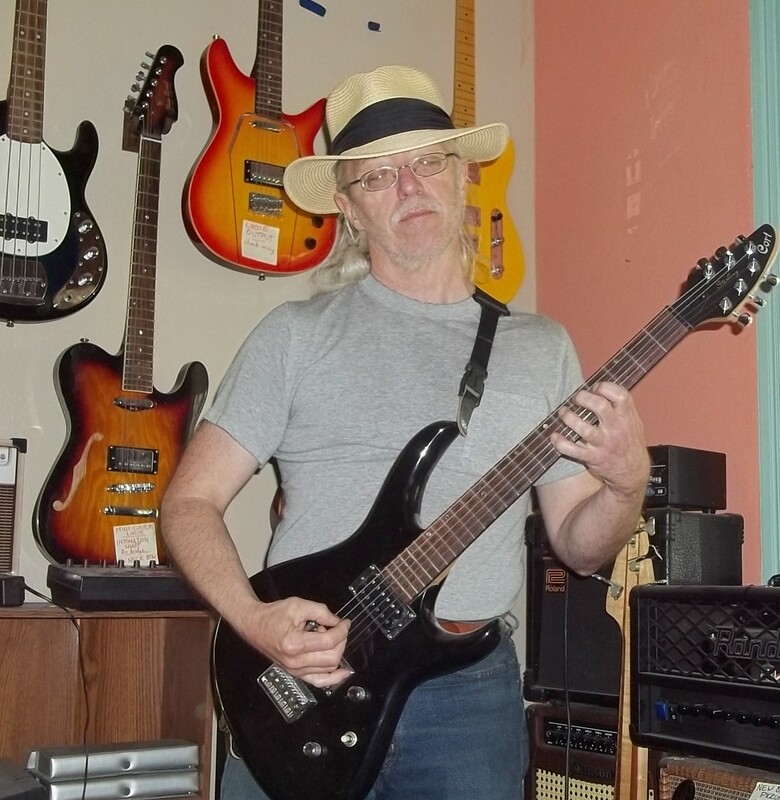 My WD61SW ("CE", but it's not on the serial number, although if you look at the guitar in my avatar you can clearly see that it is a CE model) is a Yamaki made guitar, and it has great tone as well as wonderful playability. [Edit...I forgot that PB was hosting my avatar photo...so it's not on my forum profile any more]. My D62SW (soon to be dropped off at the luthier for repairs to cracks in the soundboard and back) is also a Japanese product...I THINK!! !...but I could be wrong about that because the area on the back of the head where the neck joins is unlike any other Yamaki guitar I've ever seen. Hope you'll hang around and let us know how it works out for you. Pics are always welcome if you find a photo hosting website. And here is that "Made in the USA" sticker! I've never understood the "USA" fetishism; I've had a few lovely old Harmony cr@pboxes tha were definitely domestic, & I enjoyed 'em for what they were... but, let's face it, they were NOT high luthiery. Nice to see the 68s -- certainly one of Washburn's finest production models ever. The three-piece back is perfect, but you had me at volute + multipiece neck. WOW, Buck...that is one truly GORGEOUS guitar! It looks like the pickguard is cocobolo (which is a very hard variety of rosewood)...it has that same "coffee&cappucino" color as the sides and back on my WSJ60SKELITE. I have always admired the 3 piece back instruments, and the issue of the neck and volute is certainly one with which I'm familiar. 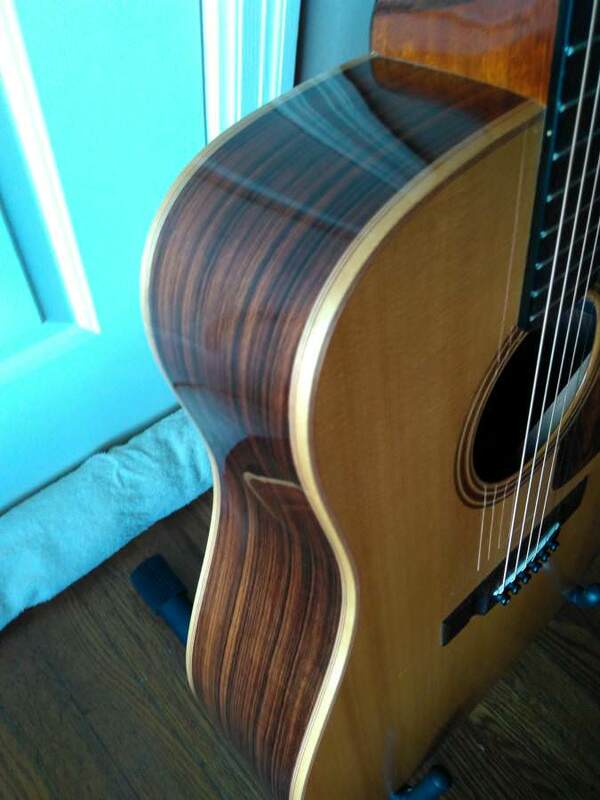 I had an Ovation with a multiple-layer neck (it was absolutely the most miserable neck I've ever played...that fretboard would have had to struggle to be even 1 1/2" wide...I didn't even mind when a burglar stole it during a break-in...I never liked it and it didn't get much play time). 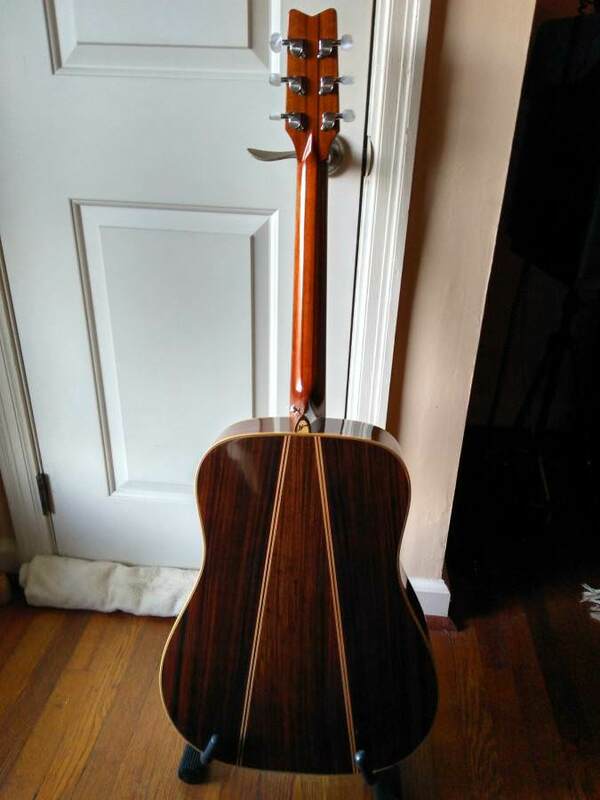 Given adequate width, though, a multi-layer laminate neck is a great idea...multiple woods each have different "drying" rates and so the issue of a warped neck is not usually a problem. I have a love for the volutes, too...once I get my D62SW repaired I'll post a few photos of the volute on that one, it's unique in my experience. The head on the D62SW is a "Martin-style", not the V-head (which yours is) or the crown-head. It's obviously a well made instrument and possesses great beauty, too. Congratulations, Buck...we all dream of having these well-made instruments from the 70's and 80's. 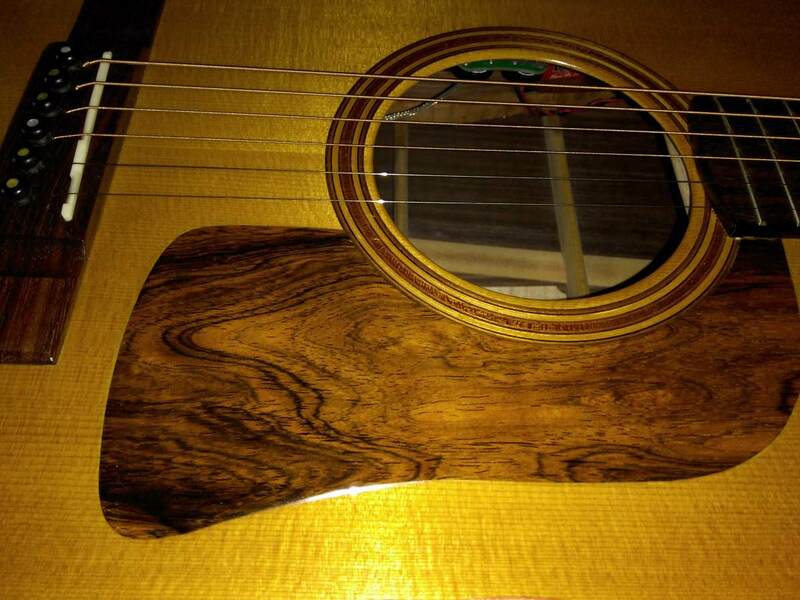 When I joined the forum around 2008 there was a custom shop that made acoustic instruments, IIRC the main luthier for that production line at that time was John Stover. Model numbers like WD64SW were those custom-shop pieces. Here's hoping you'll stick around and join in our discussions here. We're all here because we're Washburn fans. Thanks Dugly! And to tell the truth, I was not looking for a Washburn guitar when I found this one. I was actually on the hunt for another Taylor when I saw this on a local Craigslist board. As soon as I saw it I knew this was a special guitar. The owner was asking $900 for it and I was able to talk him down to $800. Slightly above the upper limit on what I was told this guitar was worth, but justifiable IMO due to it's condition and how drop dead gorgeous it is. But I am still perplexed on how that made in the USA sticker got in there? PS: here is a close up shot of the pick guard. Hey Buck that guitar was made in Japan ( Yamaki made pick guard ) and not in the US that label was stuck in later as it isn't part of Washburns labels I think it might be a bit older also like 1979 I sure miss mine was a fantastic guitar and just had enough power to make it a great playing instrument. Will be interesting to see those photos Dugly ... what's "different" about the volute ? I also have a D62SW (serial #804825) so will be interesting to compare them.